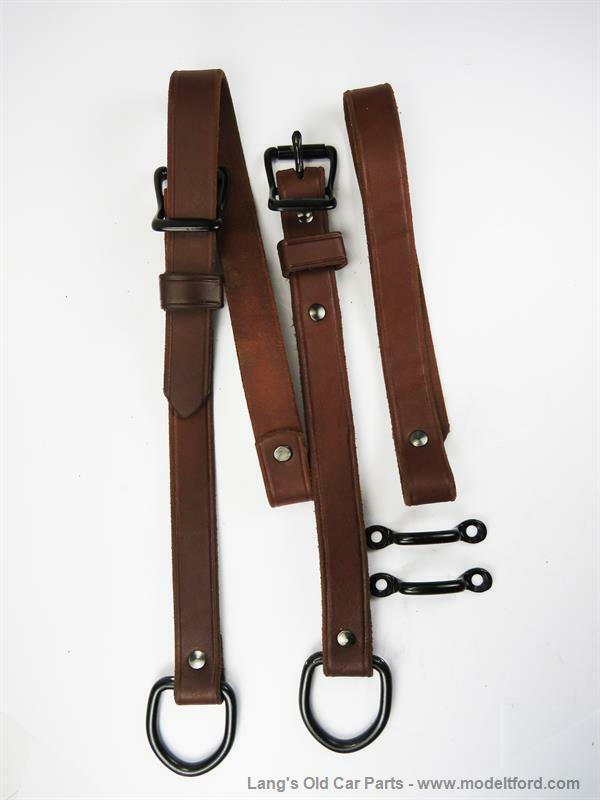 Back curtain straps, Accessory natural color leather with black hardware. This is not an original Model T color but can be used on any car. Rear strap stretches from the rear bow to the L-iron on the body. 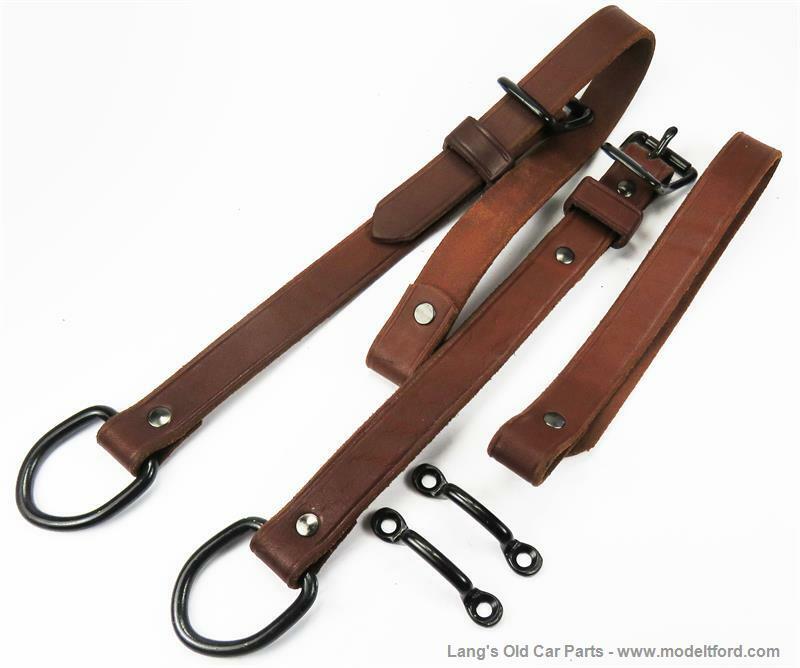 These straps hold the rear bow in position when the top is up. 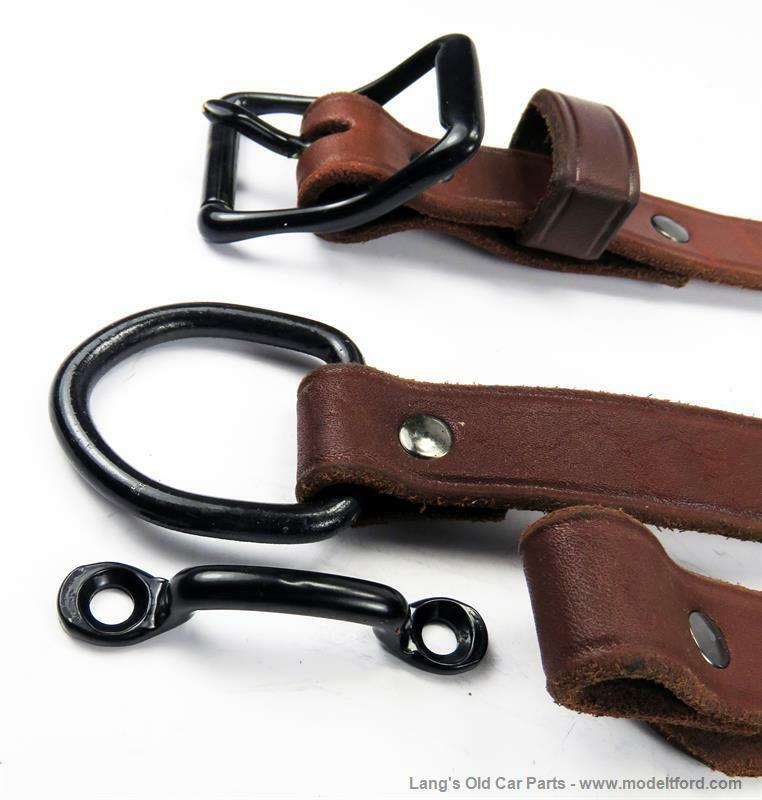 The straps all come with D-rings, buckles and footman loops.